The Parking App leading a £50bn industry into the digital age. We make parking easy for drivers – whilst helping parking owners and operators manage their assets more effectively. At JustPark we’re opening up a world of potential, by providing access to a vast network of spaces. Working closely with our partners, we aim to tackle the pain points in parking and increase efficiency and revenue by using data insights to facilitate a more effective use of space. Together, we’re moving towards a smarter, digitally connected world, with mobility and sustainability at its core. Over 23% of car journeys involve some kind of parking pain – that’s roughly 190 million trips a month – with drivers suffering from both uncertainty (availability, prices, restrictions) and inconvenience (full car parks, slow payments, unfair fines) on a daily basis. Our vision is focused on contributing to a world that prioritises the communities and the environment that we live and work in. By empowering people to make smarter, seamless mobility choices, JustPark is a key destination on the road to a more prosperous, healthier and better connected future. At JustPark, we are on a mission to make parking easy. Our 5-star rated app helps over 2.5 million drivers enjoy an intelligent cashless parking experience – and our award-winning car park technology helps over 20,000 property owners make more efficient use of their assets. JustPark is dedicated to solving parking problems by cracking both sides of the market – making parking easier and more efficient for everyone. Find parking in seconds with JustPark on iOS, Android and web. 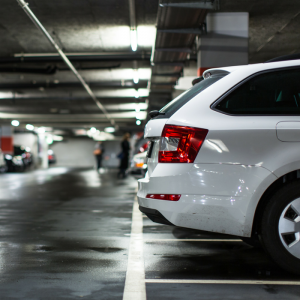 Rent out your parking space when it’s empty to make an extra income. Maximise revenue from your parking assets and underutilised land. Put your drivers first and save costs with a 5-star-rated mobile payments solution. 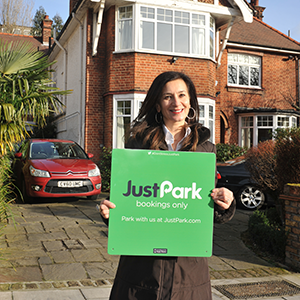 JustPark (originally called ParkatmyHouse) is founded by Anthony Eskinazi in 2006. The website matches drivers with spare parking spaces outside people’s houses. It gains popularity and establishes JustPark as a pioneer in the peer-to-peer parking market. JustPark secures investment from BMW iVentures in 2011. The team grows from 2 to 20 employees between 2013-2014. Supply expands to include car parks, churches, hotels and businesses. The company rebrands as JustPark in 2014 to reflect this development. Index Ventures invest in summer 2014. JustPark launches the world’s first in-car parking app in partnership with Mini, and surpasses 500k users. In 2015, JustPark closes a record-breaking £3.7m crowdfunding round and wins Richard Branson’s #VOOM. The team grows to 40 people. JustPark builds new mobile apps – now used by 1.5 million people – and its dynamic pricing engine wins the 2017 British Parking Awards. The company provide parking technology to some of the biggest names in property and hospitality (Marriott, JLL, BT, Hilton) – and start running payments for local authorities. JustPark undergoes rapid growth, almost doubling in size internally and externally. With the team approaching 70 members and users surpassing 2.3 million, the company begins to re-define what its vision and mission for the future is. JustPark founder and CEO Anthony Eskinazi joins the British Parking Association’s Technology Innovation & Research Board, as an elected representative. The JustPark platform is adopted by an increasing number of local authorities, surpassing 12 councils in as many months as it’s been operating in the sector. Founded in 1999 by father and son Robin and Saul Klein, LocalGlobe is a UK-based venture capital firm that focuses on seed and impact investments. Innovators they have previously seeded include the likes of Citymapper, Tweetdeck, Transferwise and Zoopla. Index Ventures are arguably Europe’s leading venture capital firm, and have been investing in the future of technology since 1996. They’re backers of such towering successes as Facebook, Skype, Dropbox, Funding Circle and Just Eat, and first joined us on the JustPark journey as investors in 2014. BMW i Ventures is the automotive giant’s venture capital arm, exploring strategic investments in innovative mobility services. 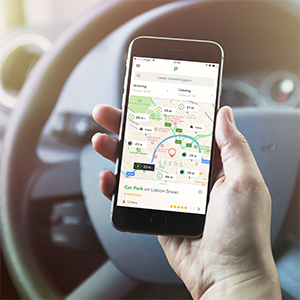 In partnership with BMWi, JustPark released a world-first in-car app in 2014 – allowing drivers of MINI connected cars to find, book and pay for parking from their dashboard. In Spring 2015, JustPark closed a record-breaking £3.7m equity crowdfunding round via the industry’s leading platform Crowdcube – hitting the EU limit for such a campaign. Over 2,700 people invested from £10. We’re thrilled to have the support of so many investors, many of whom are valued users of JustPark.